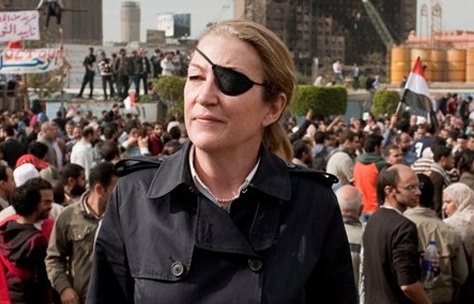 Relatives of the late Marie Colvin, the famed foreign correspondent who grew up on Long Island and worked for the British newspaper The Sunday Times, have filed a lawsuit in federal court claiming that Syrian government officials targeted and killed her in 2012 to silence her reporting on Syria and the besieged city of Homs. Colvin is the namesake of the Marie Colvin Center for International Reporting, established by the Stony Brook University School of Journalism in her memory. The Center’s mission is to nurture and grow the next generation of overseas reporters, to raise public awareness about the need for robust international coverage through the Marie Colvin Distinguished Lecture Series, and to cement Colvin’s legacy by rewarding tenacious overseas reporting with a journalist-in-residence fellowship.